Magnetic Nail Polish Nail Art! I have something new to share with you. 🙂 Recently my friend had come from US. She knows that I am crazy about nail art. So she gifted me a bottle of Sally Hansen’s nail polish. Now you might be asking what’s special about it that am sharing it with you all. Yes it was special for me as I haven’t used MAGNETIC nail polish before. Yes you heard me right. Its magnetic nail polish which creates unique pre-defined patterns on the nail! How to apply magnetic nail polish? 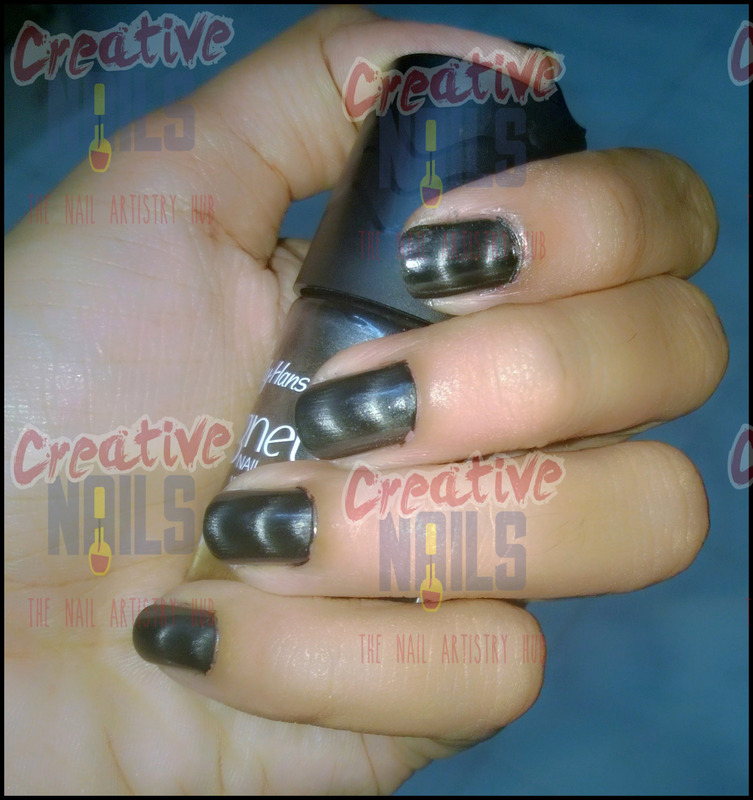 Step 1: Apply a thicker layer of magnetic nail polish to one nail. Step 2: Before it dries hold the magnet in the cap of the bottle just above your nail. Your pattern is ready!! :-). If required apply a top coat of clear nail polish. ← New Year with Fruits Nail Art!